Owning a house or any similar property, you want everything to maintain its original shape. While most of the potential household frailties are easily visible, your sewer lines are hidden from sight, making them a little tough to deal with on your own. To handle the potential problems, you must first see them coming, and this is where Rooter Drain Experts comes right in. We have the knowledge and the tools to perform trenchless sewer camera inspections and correctly assess the condition of your sewer pipes anywhere in Santa Clarita, California. Taking advantage of the latest plumbing technology, we drive the rod-attached camera inside the sewer pipes as far as they go. The captured images are instantly transmitted to our computers and recorded for later use. The video quality of our sewer cameras is always high, allowing our technicians to see every blot of every inch in your sewer. You can see it too, with us guiding you through the hollow space of your sewer. When Should I Get My Sewer Lines Inspected? At Rooter Drain Experts we recommend that you get in the habit of checking up on your sewer pipes at least once a year. The unpleasant truth is that the piping system, through the excess of waste flowing by or some other similar factors, gets easily damaged. Sewer lines corrode or clog for a myriad of different reasons, and if you don’t treat the problem properly when it is still easily manageable, you’ll end up spending unnecessary sums of money on future sewer repairs. Our sewer cameras can spot a problem right where it is, just as our professional and licensed plumbers will walk you through the potential sewer repair process. Another instance when our sewer pipe video inspection will come in handy is when opting to buy a new property in Santa Clarita, California. Don’t you think that a plumbing condition should at least partially dictate the negotiation price? Getting the deal done without considering the sewer condition can cost you down the stretch on what is an avoidable expense. Rooter Drain Experts sewer camera inspection will prevent any unpleasant surprises and let you know exactly what is going on in your sewer pipes. We are on your side, always making sure that our customer receives top quality service. When planning on adding or remodeling your bathroom or kitchen, you really need to think about the sewer. Would it be affected? How? Would the increased flow of water prove to be too much for the existing sewer setup? These are all viable questions and the ones easily answered with our sewer pipe camera inspection. Should the inspection find the sewer lacking, our experts can propose multiple solutions to fix the problem. The years of dedication and hard work have made us the most reliable plumbing contractor in Santa Clarita, California. Add in the perfect customer feedback to the score, as we’ve never once left the pipe unattended and customers less than fully satisfied. Schedule sewer camera inspection with Rooter Drain Experts and let us justify our name. Owning a house or any similar property, you want everything to maintain its original shape. While most of the potential household frailties are easily visible, your sewer lines are hidden from sight, making them a little tough to deal with on your own. To handle the potential problems, you must first see them coming, and this is where Rooter Drain Experts comes right in. 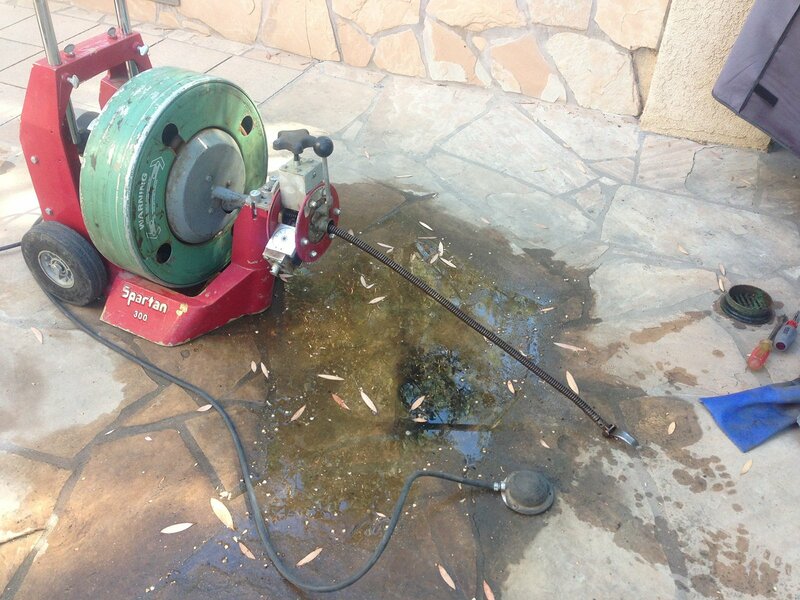 We have the knowledge and the tools to perform trenchless sewer camera inspections and correctly assess the condition of your sewer pipes anywhere in Santa Clarita, California.